← mini honey mustard and white cheddar meatloaves. 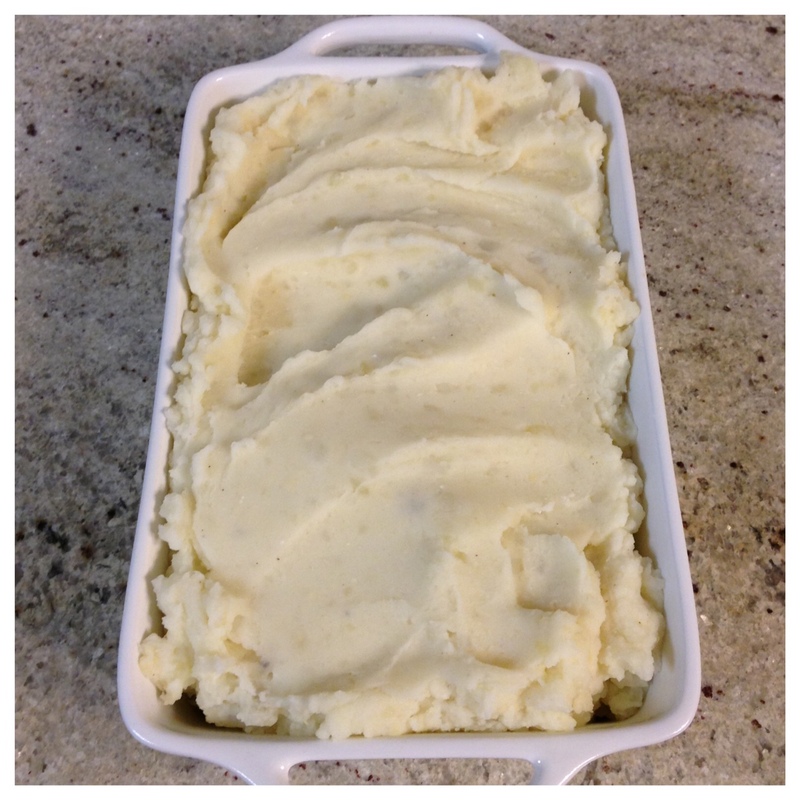 Remember when I posted that recipe for garlic, rosemary, and citrus roast chicken, and I promised that I’d share my recipe for a good, basic mashed potato? Here we go! I like my mashed potatoes to be creamy (but not overly smooth – a few lumps is fine), and to taste rich without being a bomb of butter and cream. I mean, I really ENJOY mashed potatoes that are 50% potato, and 50% butter, cream, and sour cream – but unless it’s a holiday, I try to keep my mashed potatoes on the lighter side. Luckily, they still taste incredibly rich and indulgent! 1.) Measure your whole milk and greek yogurt – allow to sit at room temp while you cook your potatoes. Place your peeled and chopped potatoes in a large pot, cover them with water, and add a generous handful of salt. Place the pot over medium-high heat, and bring to a boil. 2.) Once the potatoes come to a boil, reduce to a simmer, and allow the potatoes to cook until a paring knife easily pierces a piece of potato (probably about 8-10 minutes, but keep a close eye on them, so you don’t overcook them). 3.) When the potatoes are cooked through, drain them in a colander. Shake the excess water off, and return the potatoes to the hot pot. Allow them to sit for a minute or so in the pot, untouched – the heat from the pot will help the excess water evaporate, so you don’t end up with watery potatoes. 4.) Add your whole milk and greek yogurt to the potatoes, and mash to your desired consistency. Add salt and pepper to taste (I found I needed a generous pinch of salt, and just a few grinds of black pepper – but keep tasting until you find a balance you like). 5.) Add the butter (if using – I did not), and stir it into the potatoes. Pile the potatoes into a bowl or serving dish, and serve! 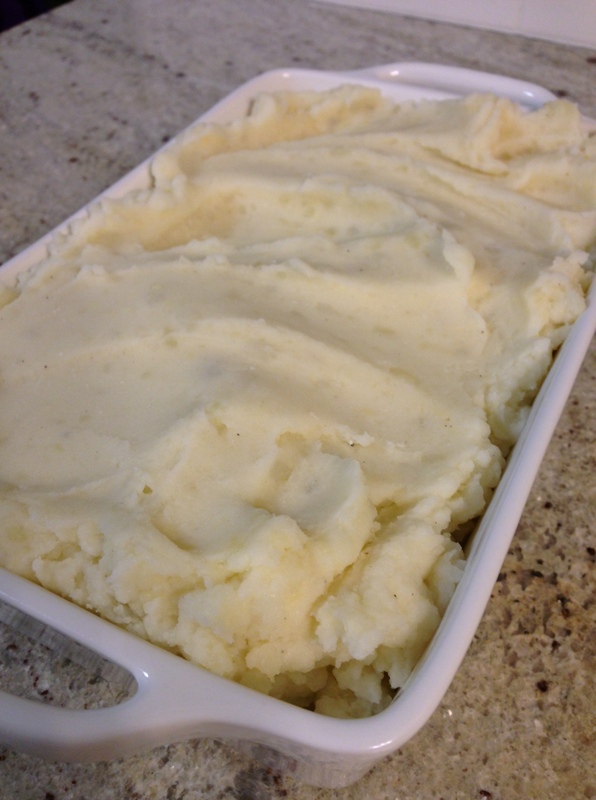 This recipe makes some pretty delicious mashed potatoes, if I do say so myself. If you want to lighten them up further, you could use 2% or skim milk – but I think the whole milk gives a nice touch of creaminess, without the intensity of using cream or half and half. Additionally, the greek yogurt adds some protein and healthy fat to the mix! You could flavor these any way you’d like – add a half cup of grated parmesan, or some roasted garlic cloves, or some chives, or blue cheese crumbles. Let your imagination run wild!